If it feels like not a day goes by where you don’t receive some type of home shopping delivery, it may be time to take a look at your online shopping habits. 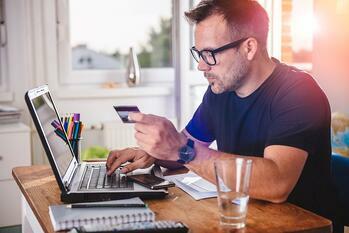 Here are some steps that you can take to help curb the need to fill up your online shopping cart. Apps that offer easy access to store’s merchandise and your shopping cart should be deleted from your phone. Having these apps readily available makes it way too convenient for you to spend your money. If you don’t know about the sales or special offers your favorite stores are offering, you won’t be able to spend your money there. Don’t just mark them as spam, it’s too easy to check your junk email and undo all of your progress. You can easily re-subscribe to any emails you would like to receive again after your break is over. It’s easier to toss things into your cart and buy them without thinking when your card information is saved. Delete all of your saved information from the sites you find yourself frequenting the most. Sometimes, simply having to go find your wallet is enough to convince you not to buy that item. If you just can’t control yourself, it may be necessary to block shopping websites all together. This can either be done through your router or you can use software that's designed to filter what websites you can or can’t see. Remember to let someone you trust to pick the password so you’re not tempted to access them. If you’re looking at more long term plan to help you save money, it's a good idea to start out slow. For example, select a couple of days a week where you won’t buy anything online. Then, once you get into a routine, add another day and so forth. Most importantly, create a budget so you know exactly where all of your money should be going.